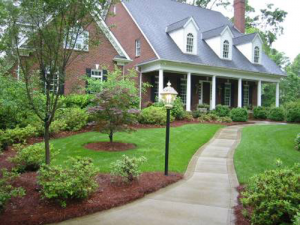 Landscape Maintenance » Barringer & Barringer Inc. Customized landscape maintenance is the essential element of the classic landscape. The outside of your home or business makes a statement. Our annual maintenance program gives consistent year-round service tailored to each specific situation. Barringer & Barringer, Inc. stays on the cutting edge of the industry. Our staff is trained and certified in the latest techniques, which give a landscape its best advantage to thrive. We develop and retain long-term relationships with our clients through our commitment to service and attention to detail. A professionally maintained exterior reflects the quality of your home or business.